It’s very important if you’re holding a summer camp, to reach out to your agent and make sure that your current insurance policy will cover the summer camp. Your martial arts insurance agent needs to know how many students are going to come and how many hours of the day they are going to stay there. If you are taking them off property, you need to tell your insurance company. Make sure your liability waiver states clearly that might be taken outside of the school walls. Make sure the parents are signing off that they know their child is going to be off premises. When you do have kids for summer camp, make sure to always have two adults in your group of kids. This is important for protecting yourself from sexual abuse or molestation claim. If kids are changing clothes, make sure kids of the same age are in the dressing room, changing clothes, versus, kids that are significantly older. Make sure that again you are aware of the need to protect the children and supervise the children at all times. Also, make sure you’ve done background checks on any extra instructors that are going to be helping you out in the summer. It’s very easy to perform background checks online these days. Check every volunteer over age 18 that are working with your kids, and that they haven’t had any priors for abusing children. Keep a copy in your file that you did everything you could ahead of time to protect your students. Many martial arts schools experience far more claims related to bodies of water than anything else. Most insurance policies do exclude communicable disease, so that’s something important to be made aware of in your waiver, that you’re telling the parents that the kids are going to be outside. Your liability is that you are prepared to administer first aid and that you are prepared to get that child safely the care that they need. Make sure your instructors have been trained in first aid and in CPR. Have an emergency plan if you’re taking kids off-site, how you are going to get them to the emergency room, if they fall and break something or if they get bitten by a snake, etc. Make sure whatever pool or a body of water you bring them to, has expert lifeguards there, and are trained to administer CPR. Summer camps can generate great revenue for your facility, expose new people to your facility, and get more students in the fall. Always be cautious and make sure you have spoken to your insurance carrier. Write down all the activities that they are going to do and disclose that to the insurance carrier and the parents. If you’re going to make thirty or forty thousand dollars over the course of a summer camp and there is going to be an additional premium for two or three hundred dollars, it’s worth it to make sure you have coverage, for all these things that you want to do with kids that aren’t familiar with your normal business. Don’t take that liability on yourself. Communicate it to your insurance carrier and make sure they are covering you for those summer camps because they are an outstanding way to grow your business. 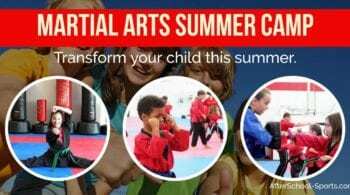 Summer camps are great for the kids, it’s great for the parents, it’s great for the business. Just do your homework ahead of time to know what you’re doing and communicate it to the parents and the insurance company. Insurance for Your Summer Camp.